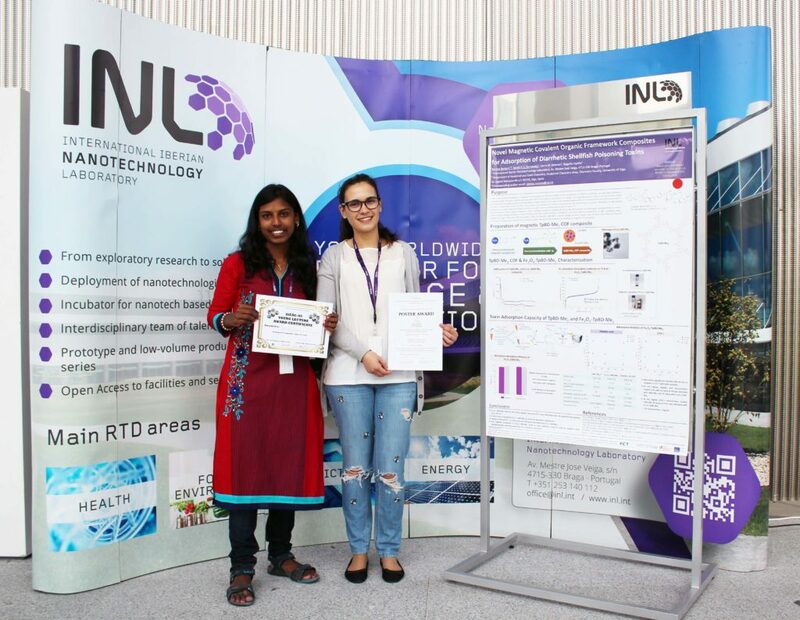 INLers Soraia Fernandes and Monisha Elumalai were awarded at the 40th International Conferences on Environmental & Food Monitoring, held this month in Santiago de Compostela, Spain. Monisha Elumalai, a PhD students, working with INL’s Food Quality and Safety Research Group, won the best young researcher oral presentation by the ISEAC-40 organisation for “Early detection of zebra mussel assisted by modified gold nanoparticle amplification”. Congratulations to both, it is with great pride that we testimony INLers achievements!